You know my big summer bucket list? You know, the one I made that had all the fun adventures me n my kid wanted to do? Well, my planning just ran into a few epic fails. Okay, maybe epic is a strong word, but hey, it got your attention, right? 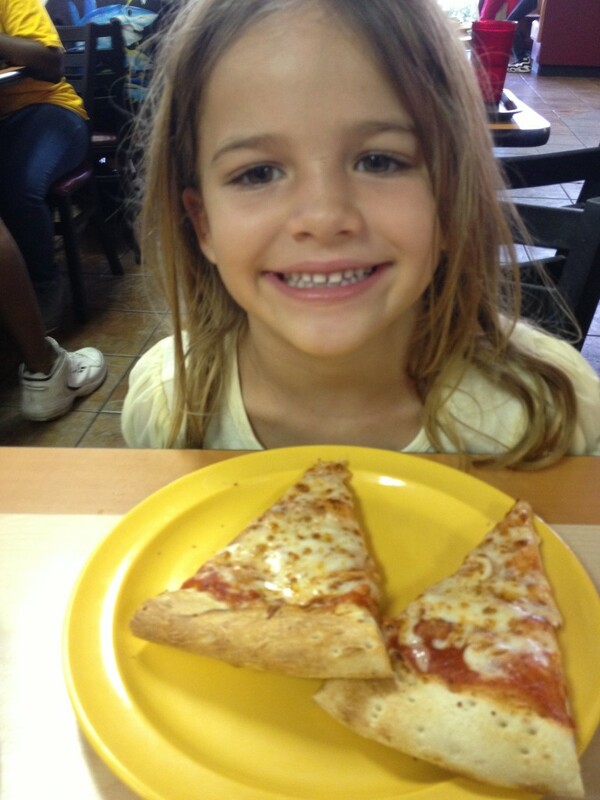 This past school year, my daughter had a school trip to Ci Ci’s pizza, and wanted me to go there with her. (I think I had gone to one 20 years ago…) Since the price was right, we went. So did four bus loads of sweaty summer camp kids. We walked in to a small room packed with assorted kids in color coordinated shirts, smelling like oregano and a mixture of sweaty socks and cheese. Ewww. Amazingly, there was one empty table. So… we sat down and attempted to get our share of the kill pizza. What is it about kids without supervision and unlimited pizza that turns them into raging hyenas? My daughter and I felt like little vultures, watching as crowds of kids piled 5, 6, 7 EIGHT slices on their plates. We watched, waited, and hoped that a camp counselor would approach one of them to remind them that it’s a BUFFET, and you can GO BACK for more. Instead, we watched as each kid took away half a pizza each until the only pie left was a spinach and artichoke. That’s when my inner mama bear came out. So, we ate our pizza and made it though the pack to even score second plates. So, why is this event falling into epic fail status? Because, when we left so did the camps. So, mental note to myself: DON”T GO WHEN THEY FIRST OPEN. By the time my daughter wakes up and has breakfast, half the morning has gone by and it’s too Africa hot to do anything but swim or stay inside. All those outdoor plans on the list? Untouched. By the time we get out of the house to go to a destination it’s either: lunch time or naptime. She’s perfectly content everyday to play at home with her toys and play with her bird, draw and swim at the neighbors pool.I offer movies, the zoo, the museum… you name it. Then she tells me she doesn’t like the crowds. My kid inherited my husbands dislike of crowds. Great. Back to the bucketlist. So… now it’s “uncrowded event” planning, like visiting off season touristy spots, pet shops, nature centers, and flea markets. We also managed to make cookies and bring it to a fire station, which was a feat because each time we went there they were out on a call… it got to the point that my husband suggested we call 911 and say we had a fire so that we could deliver the cookies. We didn’t end up calling…we finally found them at the station during a break and they gave us a personal tour. It was awesome…( I got to see the kitchen) And they were having massive steaks for supper later that night. 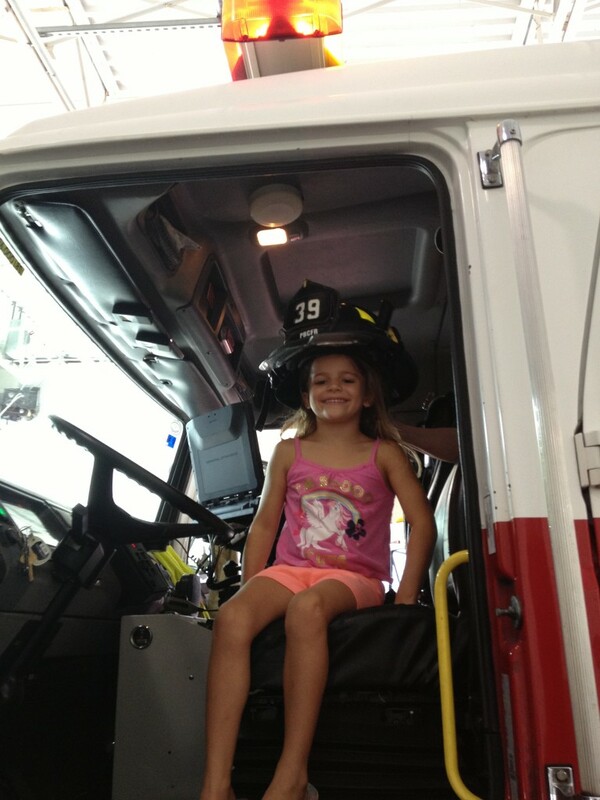 There was even a female firefighter on duty, so guess what my daughter wants to be now? Just like her.